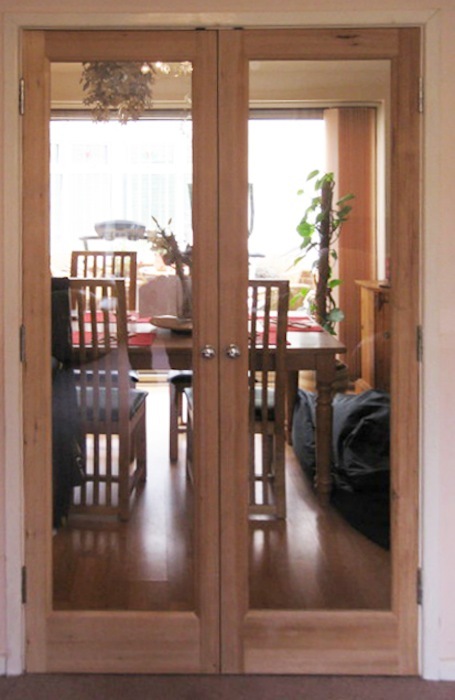 These doors were fitted between a kitchen and lounge, these ‘8 light’ doors let in plenty of light whilst keeping kitchen odours out of the living room. 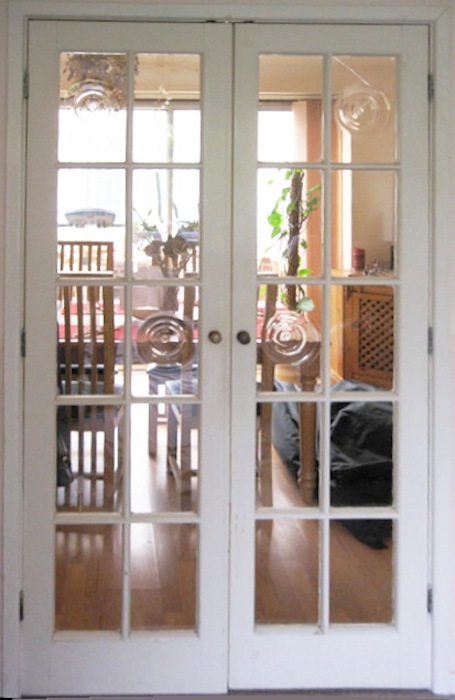 The head –that’s the top part of the frame, had to be thicker than the sides because of the opening height, also the opening was not square, I was able to loose this discrepancy, allowing the doors to be hung square. The doors will now be varnished by the customer. Note the glass has a plastic film which is taken off after they are varnished.